Radiation therapy is used to destroy cancer cells in the body. This type of therapy is individualized to each patient because every patient has a unique history. No two patients are the same and neither is their experience with radiation therapy. Radiation is a more precise type of cancer treatment. Unlike chemotherapy, where your whole body is exposed to a drug that is meant to destroy cancer cells, radiation is a more targeted type of treatment. This treatment aims at treating only the affected area(s). 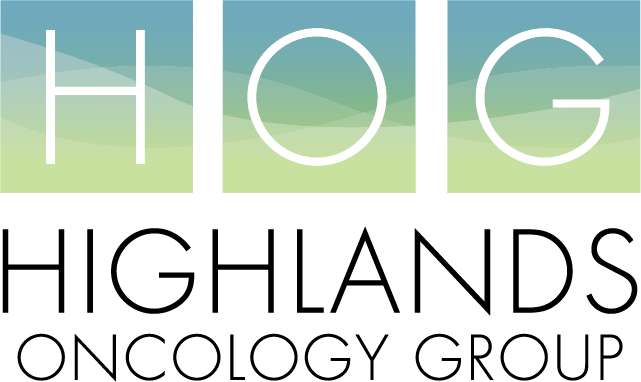 When you begin your radiation therapy, you will first meet with a Radiation Oncologist at Highlands Oncology Group. Your doctor will go over the frequency and time frame of your treatment and the possible side-effects you may experience. Side effects vary greatly depending on where you are receiving the treatment. The most common side-effect is fatigue and sensitivity of the skin at the site of your treatment. After your initial consultation you will come back for what is called a planning CT. This is a scan that helps to determine the exact area that will be treated. It is important in radiation that you are treating the same area every time. The goal is to only treat the area that need to be treated and nowhere else. Your Radiation Therapist will also help to position you so you are aligned the same every time. This may include making small marks on your body using a sharpie. Sometimes personalized equipment is used to ensure you are aligned the same every time. The equipment is not enclosed so you should not worry about feeling claustrophobic. If you need to speak to someone about side-effects you may be experiencing between treatments, please call 479-587-1700.